Leave a comment on THIS post by 6 p.m. CT Tuesday, March 17, 2015 to be entered in the DRAWING for a copy of the book below. If you mention in your comment that you’re a follower (see in the left sidebar “Join This Site” and “Follow by Email”), I'll add your name a second time in the drawing. U.S. mailing address required to receive a paper book. Read book giveaway details at Disclaimers. For your security please leave your email address like this: johnATyahooDOTcom. Winner announced in next Thursday's blog post. Valerie Massey Goree was born in South Africa and grew up in Rhodesia—now Zimbabwe. She attended a Christian university in the USA and then returned to Zimbabwe with her husband, Glenn, where they served as missionaries. 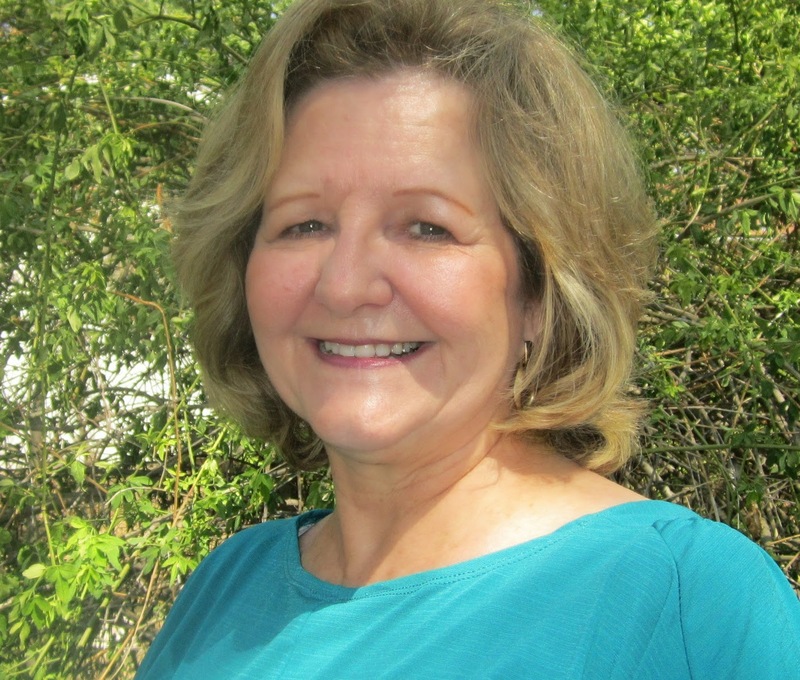 After they settled back in Texas, Valerie served 25 years in the public school system, focusing on students with special needs. Now retired, she resides in the Texas Hill Country with Glenn, two dogs, two cats, and spends her time writing and spoiling her grandchildren. Valerie loves to hear from her readers. I’m going to cheat a little on this question and include more than one person. I’d like to share a meal with my grandparents. All of them died either before I was born, or when I was a baby. I’d love to ask them about their lives and experiences in England, Ireland, Holland, and Australia, and discover why they decided to live in South Africa. Please tell us a little about your novel, Weep in the Night. life in Texas is bland and humdrum—until she meets a new co-worker. Bowen Boudine ignites a flame in Sadie’s long-dormant heart, but when she discovers he knows her true identity, she attempts to flee. He thwarts her escape and reveals the reason he’s been sent to locate her. Bowen, a seasoned operative with International Retrieval Organization takes his job escorting Sadie back to California seriously, but quickly finds he’s falling for her. Can he maintain a professional relationship while he protects her from the crime boss her testimony helped to convict? A thread through all my novels is forgiveness. Sadie has to overcome her grievances toward God, in a sense forgive him for perceived injustices, and she helps Bowen recognize that God offers forgiveness to all who seek Him. Whatever trials we face, we must remember that God does not promise us no storms in this life. But he does promise to meet us in the storm and help us overcome. Another takeaway is the value of family. Treasure each person because we never know how long they will be part of our lives. I also contribute to Catherine Leggitt’s blog which addresses topics that affect ‘A Woman My Age’. I write under the section, My Mother, My child. Where can readers purchase Weep in the Night? I’m working on the sequel to Weep in the Night. It’s a standalone story, featuring some of the same characters, the same organization, but a brand new hero and heroine. Thank you, Valerie, for visiting with my readers. 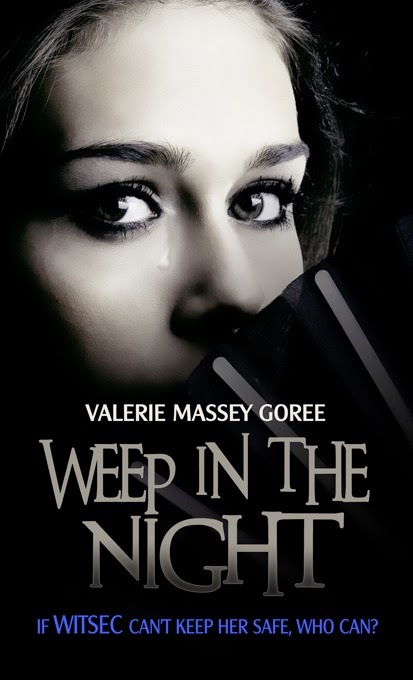 One of the commenters will win a copy of Weep in the Night, which you have offered. The winner of last Thursday’s blog post for a copy of Star Song by Katheryn Haddad is Maxie. I’ll email you. Thanks all for commenting. Watch for more book giveaways. Great interview with Valerie! I enjoy books set in my home state of Texas. I would LOVE to read Weep in the Night. Hi Caryl. Yes, Texas is a great state in which to set intrigue and romance. Caryl, glad you enjoyed my interview with Valerie. Thanks for following my blog and for leaving your comment! Sonja, glad you enjoy my blog. Thanks for following and for leaving your comment! Allie, thanks for coming by and leaving your comment. I appreciate your following my blog! Deanna, glad you enjoyed the review of Valerie's book. Thanks for commenting and for following my blog! Sounds really good!! Love to read. I am a follower also. Diana, I appreciate your following my blog! Thanks for leaving your comment. Love your stories Val. Keep them coming. I find them hard to put down when I start reading. I enjoy the message you bring into the story. Looking forward to a new one soon. Ramona, thanks for stopping by and leaving your comment. I am a new fan. I enjoy any story set in Texas. I know I would enjoy this one. Thank you for the interview and introducing me to a new author. Judy, glad you found a new author here. Thanks for reading and leaving your comment. Hello valerie. Nice to meet another author, and a Texas author. Out Hill country is becoming quite the place for authors. Guess I don't know enough about South Africa, for I think of it as scary to live there. So you have duel citizenship, huh? I would love to win your book. Thanks! Thanks Jo for having valerie here. And for the surprise of winning a bk. Did not know yet. Maxie, you're welcome. I appreciate your following my bog! Thanks for leaving your comment. I follow you, and this book looks really good! Blessings! SLM, thanks so much for following my blog! Glad you stopped by and left your comment. Thank you for the great review, Miss Jo! I love to follow your blog! Melanie, you're welcome. I'm so glad you enjoy following my blog! Thanks for leaving your comment. I love inspirational books where the setting is TEXAS! This books sounds so good and can't wait to read it. I am following you, have been for awhile. Pamela, I'm so glad you've been following my blog for awhile! Thanks for leaving your comment. So sorry, forgot my email..